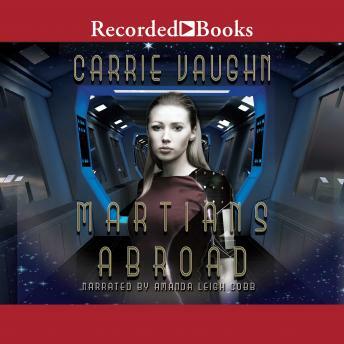 Well-known for her bestselling series Kitty Norville, Carrie Vaughn moves to science fiction with Martians Abroad, a novel with great crossover appeal. Polly Newton has one single-minded dream, to be a starship pilot and travel the galaxy. Her mother, the Director of the Mars Colony, derails Polly's plans when she sends Polly and her genius twin brother, Charles, to Galileo Academy on Earth. Homesick and cut off from her plans for her future, Polly cannot seem to fit into life on Earth. Strange, unexplained, dangerous coincidences centered on their high-profile classmates begin piling up. Charles may be rightthere's more going on than would appear, and the stakes are high. With the help of Charles, Polly is determined to find the truth, no matter the cost.